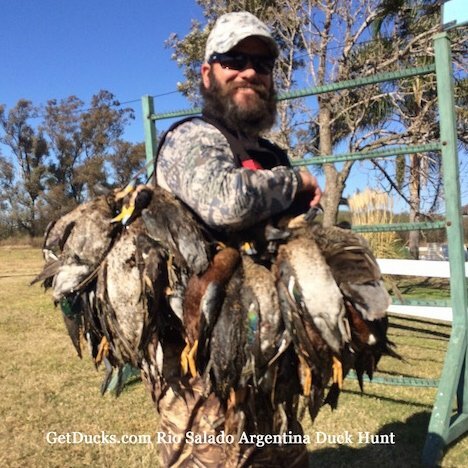 Argentina duck hunting at Rio Salado is for serious duck hunters willing to go the extra distance for some the very best available duck hunting in Argentina. This remote Argentina duck hunt lacks the logistical and hunting convenience available elsewhere. For reasons below, we and our clients think it’s well worth it. Many programs are as convenient as Disney World to Orlando, but this Argentina duck hunt is way off the beaten path in the northern province of Santa Fe. The last 45 km consists of excellently maintained but otherwise dirt roads. Hunting takes place in an incredible 74,000-acre marsh that fed by the Salado River. Other than occasional strands of barbed wire and few cattle, this wetland is as wild and pristine as anything seen by coastal Louisiana’s original settlers. This wetland is mostly contiguous and water depths average less than a foot. With relatively few disturbances, it’s waterfowl habitat as God intended. Duck density and species diversity is usually greater than elsewhere in Argentina. Duck species you might see includes the usual suspects plus blue-winged teal, South American knob-billed ducks, and black-bellied whistling ducks – species that you’ll not see on other Argentina duck hunts. During a typical week, 14-15 duck species will be bagged. The ammo allowance is very generous, daily bag varies among shooting proficiencies. 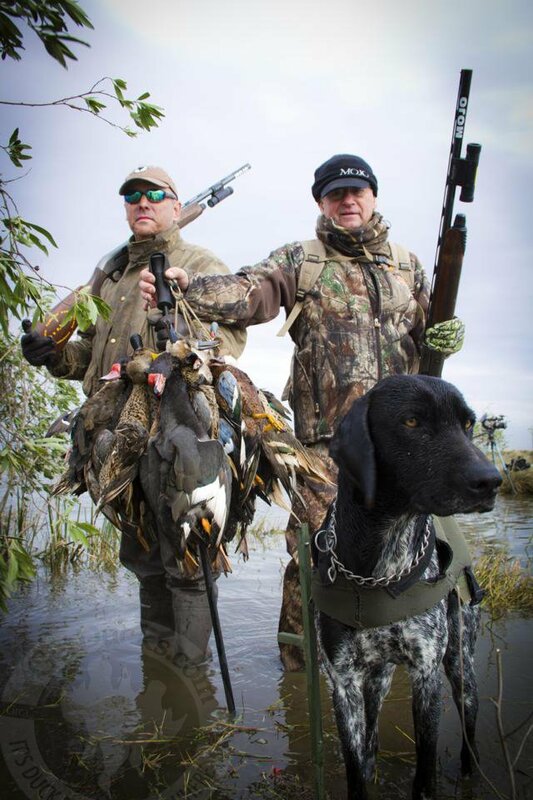 This is a “real duck hunter’s Argentina duck hunt” that many U.S. hunters will easily relate to for several reasons. It’s un-baited. Abundant habitat combined with low relative hunting pressure holds ducks all year. 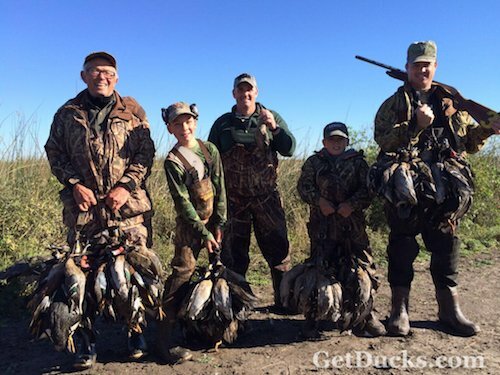 This Argentina duck hunts are based on scouting, decoys and skillful calling. Experienced Argentina clients describe guide-staff here as the best and most hard-working they’ve ever encountered. Blinds are simply natural cover hides on the “X”, and are accessed only by Argentine mud motors (horse-drawn boats) or relatively easy walks. Once you’re at the lodge, duck hunting is usually within a half-hour drive time. About every 5-6 years, the marsh dries due to drought, requiring greater driving distances. Because there’s no finite number of bait piles to protect from over-hunting, hunters hunt alone with a guide unless specifically requested – a real treat anywhere. Versatile German short-hair retrievers recover impressive waterfowl marks and occasionally point perdiz. This program is intended as duck hunting only. Perdiz hunting might be available, but the cover is not ideal (tough walking) and it’s usually too warm for productive hunts. 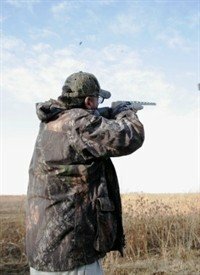 The program is duck hunting mornings and afternoons, but afternoon dove hunting is sometimes available (located about 2-plus hours away, it’s good for 10-20 boxes). A perfectly authentic, comfortable 5-bedroom estancia sleeps up to 10 hunters double occupancy with ensuite facilities, but this hunt is perfect for 5-8 hunters. Home-cooked meals include delicious regional dishes of beef, chicken, pork and game. Regional wines and beer are readily available. Our bilingual hosts, Martha Ciaffoni or her staff, personally attend to every detail involving your travel enjoyment from the time you arrive in Buenos Aires until your return to airport. From ground transfers to time spent at the lodge, she will serve as your personal tour guide and interpreter. 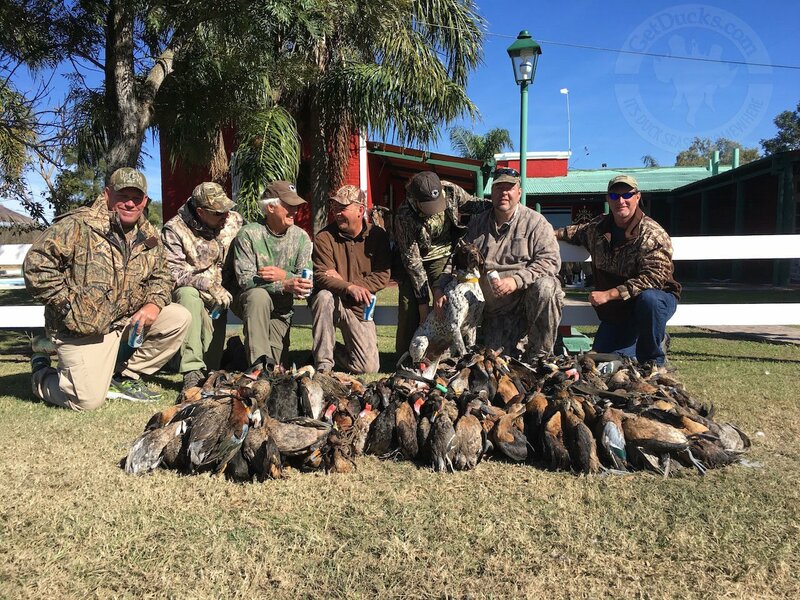 This Argentina duck hunt is strictly for hunters that are unbothered by the inconvenience of longer travel (8-10 hours from BA unless chartering a private flight) and want to experience pure, non-baited Argentina duck hunting and simple, authentic Argentina customs. 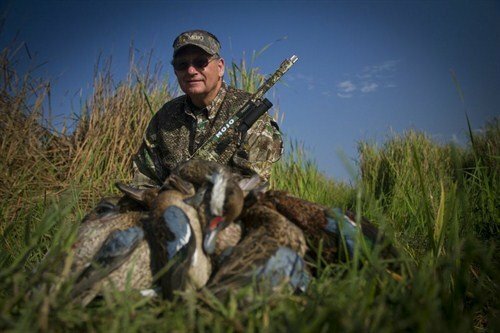 For hunters that prefer similarly-packaged, high-volume duck hunting more convenient to Buenos Aires, the comparably-priced Las Flores Argentina Duck Hunt is perfect. 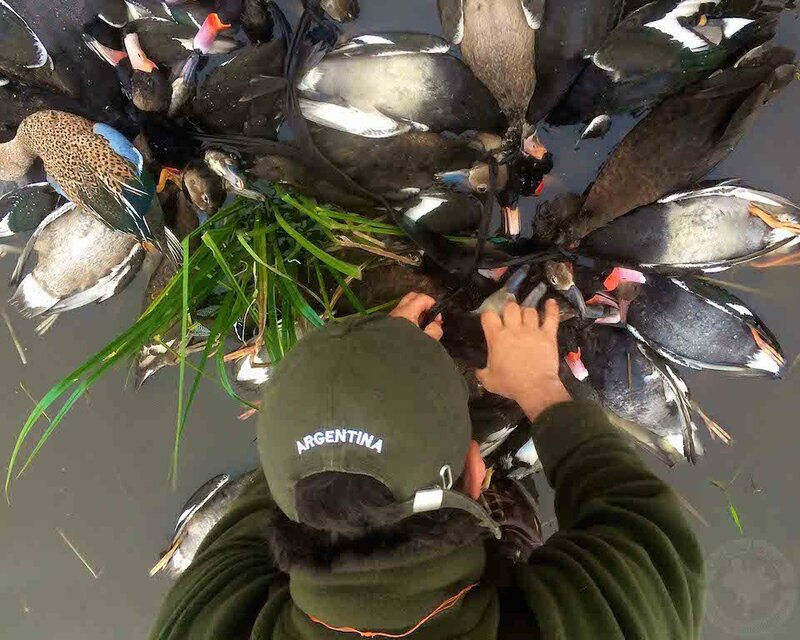 NOTE: for guests that want Argentina duck hunting combo hunts to include doves and perdiz, please refer to our combo hunt offerings La Paz and Los Ceibos. 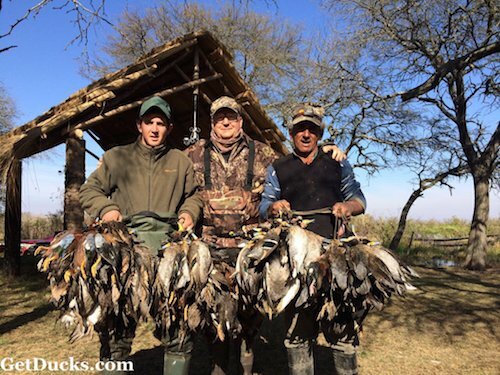 Argentina duck hunts at Rio Salado are available May – August. Rosy-billed pochards usually peak in June, but will be shot in good number throughout. Blue-winged teal and a full spectrum of species are available June through early-August. Perdiz may be hunted only May through late-July. Pigeons are available at any time. 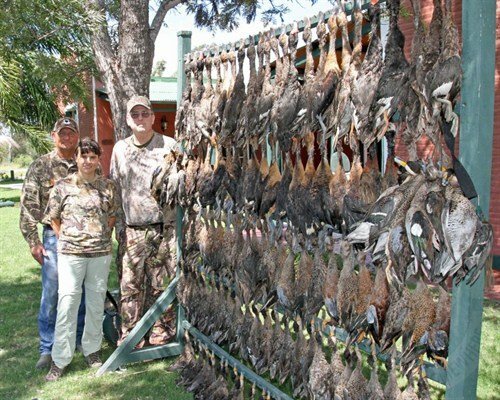 $850 per day Argentina duck hunting at Rio Salado. 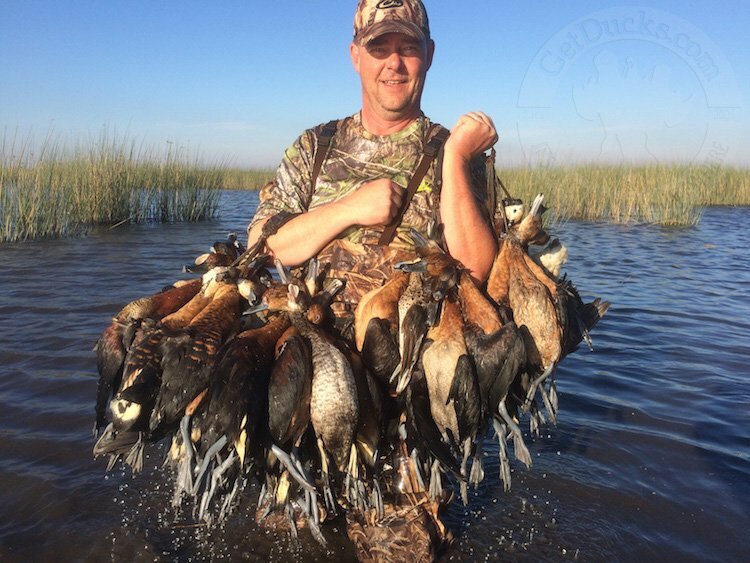 $4,250 for 5-day Argentina duck hunting package. Shotshells ($16 per box of 25) Prices subject to change. Guests may either fly to Santa Fe from Buenos Aires and ground transfer 3 hours to the lodge. Larger groups may opt to schedule a private van 8 hours to the lodge. Yes, it’s a long ride, but once you’re there you’re only a few minutes from each duck blind. Packing for an Argentina duck hunt is not complicated. Weather is comparably mild for waterfowling, and the walk or ride to the blind is relatively simple. Bring your own favorite firearm or rent from a selection of clean, reliable semi-automatic or over-under Beretta or Benelli-type shotguns. Lightweight, breathable waders are the perfect choice for the walk-ins and hides used while Argentina duck hunting at Rio Salado. Do not tip house of field staff daily. Pay them when settling your ammo account prior to departure. Tip your hostess after returning to Buenos Aires. 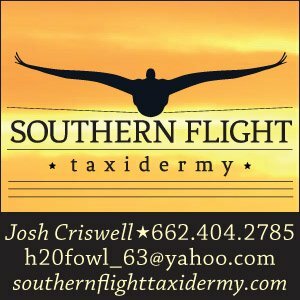 Contact us about for more information about Argentina duck hunts at Rio Salado or to inquire about group discounts. 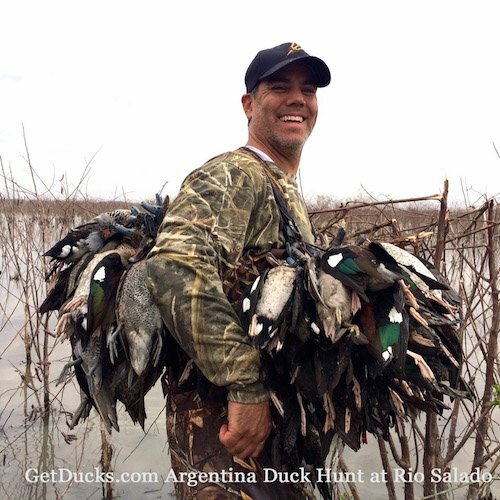 I highly recommend Argentina duck hunting at Rio Salado to anyone who truly loves to hunt ducks! YOU will NOT be disappointed! 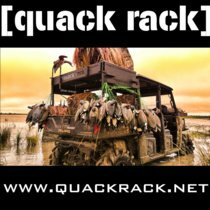 I would book any hunt that involves Ramsey Russell with GetDucks.com. Just got back from Argentina duck hunting at Rio Salado. This is the second year in a row we have gone to this fabulous destination. 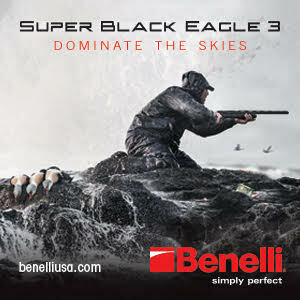 The duck hunting is just unbelievable! We have awesome morning and afternoon shoots. The food is great and the staff are outstanding. The guides are very knowledgeable and always on top of the exact spot we need to be at to have a super shoot. We always have an excellent interpreter to help overcome any language barriers that might exist. 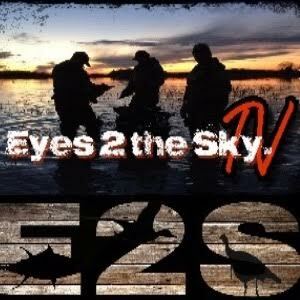 I highly recommend this operation to anyone who truly loves to hunt waterfowl and especially ducks! YOU will NOT be disappointed! 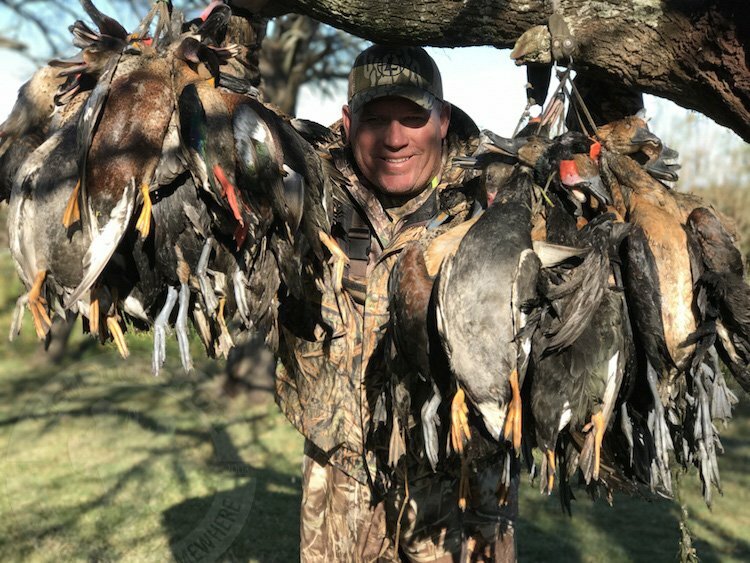 I would book any hunt that involves Ramsey Russell with GetDucks.com. Their local hostess, Martha Ciaffoni, is very good at making sure all of the hunters have a great trip! We have already booked again for 2016 and I can’t wait to get back to this duck Heaven!! Truly Duck Heaven. For a real non-baited experience, I highly recommend Rio Salado Argentina duck hunting as superior. August 2015 was my second trip to Rio Salado. We enjoyed it so much the first time we had to come back – and we’re already booked for round 3! This truly is Duck Heaven. While this hunt is extremely remote, the accommodations, staff and food are world-class-perfect in my book. For a real non-baited experience, I highly recommend Rio Salado Argentina duck hunting as superior. 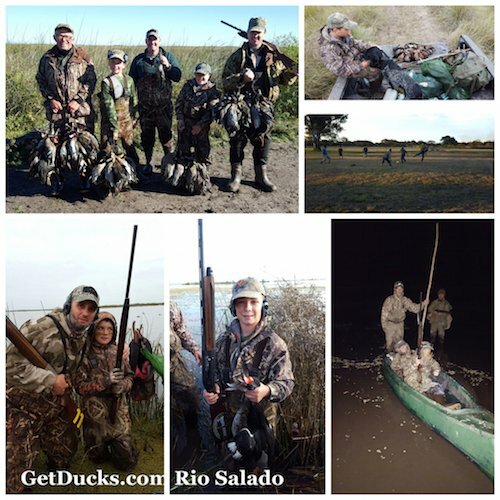 Rio Salado was not only a great Argentina duck hunting but a true adventure as well. The staff was great and I felt welcomed at all times. I hope I will be back in the very near future because it was hands-down the best of several Argentina duck hunting trips that I have ever been associated with.